Crucifix Medallion, perfect accessory for Halloween or 70's Disco look! This Crucifix Medallion is a brilliant accessory to either wear this Halloween or to complete a 70’s disco look! The Crucifix Medallion is a gold coloured cross with a pattern embedded and red jewel placed in the middle, hung on a gold coloured chain. 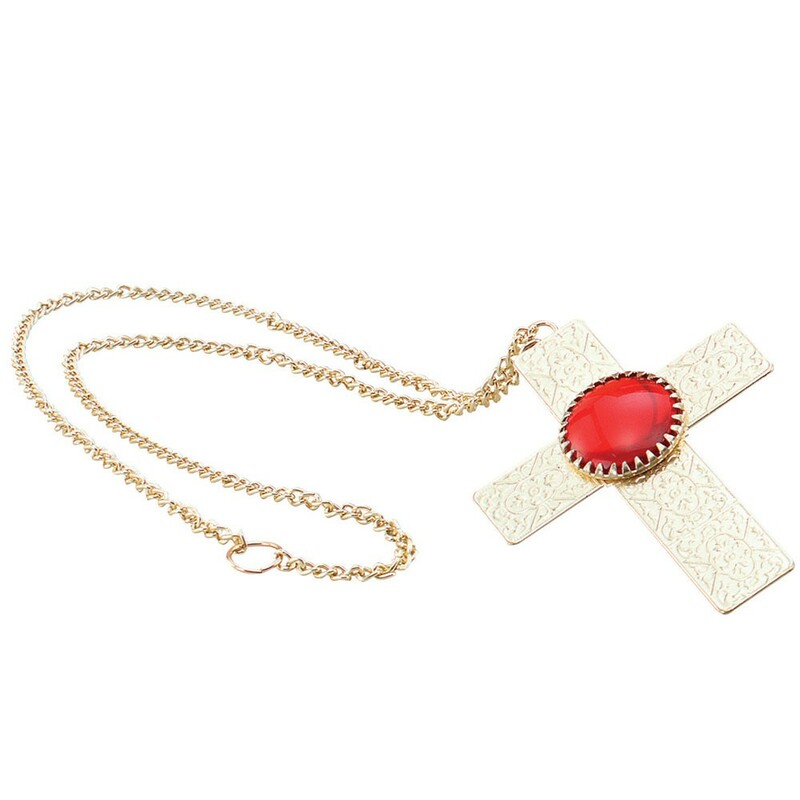 Complete your outfit with this Crucifix Medallion!